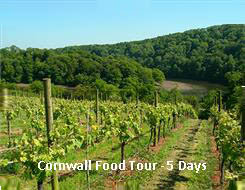 Journey through the stunning countryside of Cornwall and Hampshire to indulge in the local delicacies of the region. From metropolitan London to historic Stonehenge and on to the gorgeous coastal town of St Agnes, this tour will leave you wanting more. Unless otherwise specified in the listed inclusions, airfares are not included in the tour price. Driver/tour leader gratuity is at your discretion. Lunches (unless otherwise stated), social drinks, meals on free nights,’ items of a personal nature and entrance fees when not listed in the schedule of inclusions. Occasional optional evening theatre/festival visits and entrances not detailed in the tour inclusions. Incidental expenses, such as room service incurred at hotels. All expenses are to be settled prior to leaving the accommodation. Laundry costs and any shipping charges for the return of purchases made on tour, or for the return of property lost on tour. Pre and post tour accommodation. Unless otherwise listed in the inclusions, transfers are not included in the tour price.